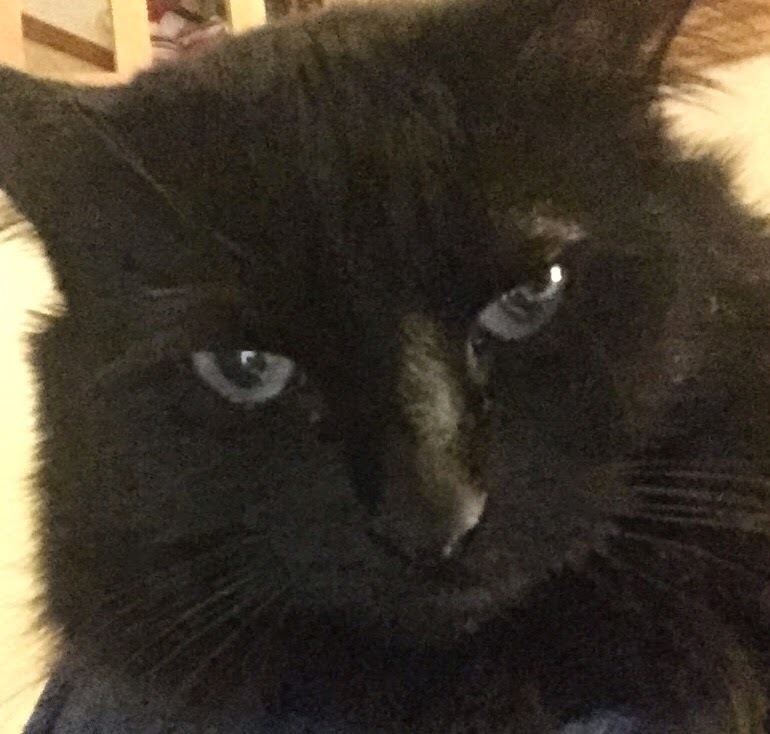 Pearl: This is selfie is the look I gave Mama when she told me we couldn't watch the Kitten Bowl. I mean, like really, couldn't she have changed cable providers before today? It wasn't like she didn't know that the most important game of the year wasn't being played today. Of course, she will be able to watch HER game. It is so unfair! At least we can watch the Lucy Bowl commercial online. You should watch it if you haven't. It is a powerful message about how important it is to get spayed or neutered. A stadium full of animals are euthanized every week because there are too many unwanted babies. Plus, don't the mancats look really hot in their football uniforms??? Go #TeamCat! 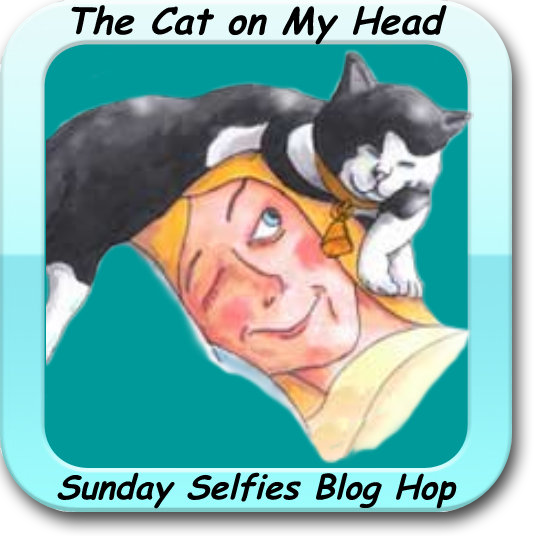 This selfie is part of a blog hop sponsored by our friends at The Cat on My Head. Visit their site and check out all the other selfies. So sorry you won't be able to watch the Kitten Bowl...maybe portions of it will be online? We are hoping it will be online! That is a wonderful selfie and that wee bit of stink eye adds the right touch! Oh, she got a lot more stink eye but only that wee bit was caught on camera! I had to google to learn what this Super Bowl is, so many Americans are talking about right now ! This sport is not popular here. Your Selfie is beautiful ! She deserved that look. But seriously...the Lucy Pet Foundation commercial is very powerful. Great selfie! Thanks for posting the commercial. We didn't get to see it here in Vancouver, Canada. It is powerful. Sobering too. Oh, that's so unfair that you didn't get to watch the Kitten Bowl! Thank goodness the Lucy Bowl commercial was on line....you didn't want to miss that!